Home Cat Care Articles Cat Not Eating – How Can I Get My Cat To Eat? Loss of appetite is a common and worrying problem for cat owners. It is a common symptom of sickness and one which can quickly become life-threatening. 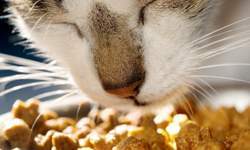 This article looks at what you can do to get your cat to eat. When a cat stops eating, the body begins to use fat stores as fuel. These fat stores are sent to the liver, to be broken down to supply nutrients. Unfortunately, the liver sometimes becomes overwhelmed and is unable to process this fat as quickly as necessary, leading to a build-up of fat in the liver, which interferes with normal liver function. This condition is known as hepatic lipidosis. Any change in normal behaviour in your cat should be investigated by a veterinarian, that includes sleeping habits, loss of interest in activities such as grooming, playing etc., changes in behaviour, no longer grooming and change in eating habits. All of these can indicate an underlying problem. Sickness – There are a great number of ailments that can cause loss of appetite in cats. For further information, please read here. Stress and or depression (such as when a cat is in a boarding cattery, change in environment such as new pet, new baby in the house etc). Change in diet. Cats can be very sensitive to changes in diet and some will refuse to eat the new food. Spoiled food. Wet food can quickly go off in the warmer months, which will put your cat off eating it. I like to put wet food down for a maximum of 30 minutes in the summer months and then remove. They are left with dry food to nibble on the rest of the time. 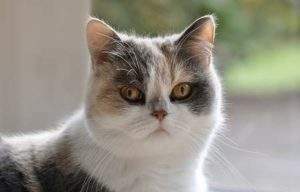 Food preference/addiction to a particular type of food – Where a cat has been provided with a particular diet over a period of time and the cat refuses to eat anything but that kind of food. Cats can become especially addicted to liver and tuna. Incorrect bowl type. Whiskers can be a bit of a nuisance when the cat is eating if the bowl is too narrow as they will touch the sides of the bowl, causing discomfort. Therefore make sure you provide your cat with wide food and water bowls. Offer canned food: This is usually more appealing than dry food. The small gourmet ones which contain gravy are always popular with cats. Baby food: Alternatively, baby food may also be offered. Make sure it doesn’t contain onion which is toxic to cats. Warm the food first: Cats prefer food at body temperature so put it in the microwave for a few seconds. Make sure you mix it well afterwards to avoid hot spots. Chicken or tuna: Offering a highly appealing food such as cooked chicken or canned may help stimulate the appetite. Cheese: Add a sprinkling of grated cheddar cheese to the food. Tuna juice can also be added to food to make it more appealing. Change diets slowly: When changing your cat’s diet, do it slowly as cats can become accustomed to one type of food and become picky at new types. You should change food slowly, adding a small amount of the new food, gradually increasing the quantity. Feed a variety of food: I like to try and avoid finickiness by offering a variety of food and flavours in their diet. My cats are fed a combination of dry food, canned food (in different flavours) and raw food. Hand feeding is another option, regularly offer tasty morsels to your cat. Syringe feeding: Sick cats may not want to eat. Add some soft and mushy food to a syringe and squeeze a small amount into his mouth. Prescribing medications to help stimulate the appetite. Feeding a high-calorie paste (such as Nutrigel or Energel) to help kick-start the appetite. Feeding tube. This requires hospitalisation. Treating the underlying cause, which once resolved should help to restore your cat’s appetite. How can I get my kitten to eat dry food? Sometimes kittens can be a little fussy when it comes to food. If you are having problems getting your kitten to eat dry food you can try moistening it a little, to begin with. Slowly decreasing the amount of moisture you add to the food as the kitten adjusts.